How to draw postman step by step. 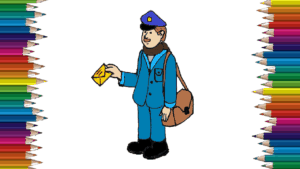 Cartoon postman drawing easy for kids with this how-to video and step-by-step drawing instructions. Drawing jobs for beginners and everyone.